Who doesn’t love a great deal? To celebrate small businesses and the importance of shoppers like you supporting our local economies, we've worked hand-in-hand with businesses across Florida to curate a list of localized special offers created just for you by small businesses right in your own communities! Check back throughout the month as we continue to add small business deals throughout the Florida area. 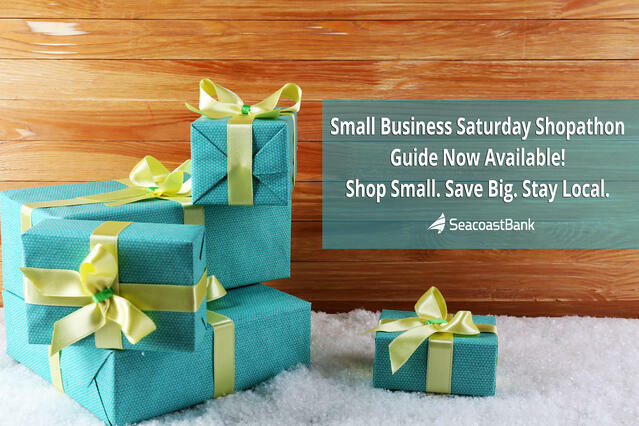 While many big box stores and retailers will be offering low prices and sales throughout the holiday season, we invite you to join Seacoast in our mission to invest in you and your local communities by shopping small and supporting your community members. This is one of our four promises that we live, work and serve you by, and we hope you’ll join us in living it out by investing your own important spending power right in the businesses owned and operated by your loved ones and neighbors. Simply browse the list of special offers below. 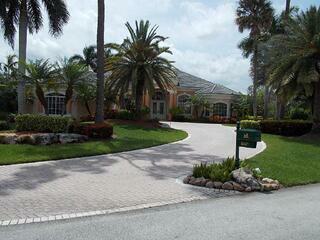 Offers are organized by County and listed in alphabetical order by the name of the company. Thank you for joining us in celebrating community in this fun and special way. Enjoy "Saving Big. Shopping Small. Staying Local". We will continue to add offers to this guide, so check back often to see if new offers are popping up in your area. If you're a local small business that wants to share a deal you can still submit your information: www.seacoastbank.com/deals. Deal: Free package of original photography notecards with purchase of one any size canvas. Terms & Conditions: Offer limited to purchase of 3 canvases. Deal: Enjoy 15% off holiday desserts with free delivery in Palm Beach and Surrounding Areas! Instructions to Claim: Simply enter offer code "give thanks" at online checkout. Terms & Conditions: One offer per household. Deal: "$75 for a Professional Voiceover. I will provide a voiceover with a max of 60 words per $75 (if you require more words we can negotiate a fee). Client will provide the script, 1 revision is included, voiceover can be for a radio or tv commercial, phone message, website message, presentation....basically anything you need a recorded voice for." Instructions to Claim: Please email with instructions and script. We will then discuss any needed adjustments or changes. Payment is upon receipt of voiceover via paypal. Please include if there are time limits to the script. Terms & Conditions: Depending on length of voiceover you will receive your voiceover within 7 days. This is dry voice ONLY. One small revision is included (max of 10 words changed) this does not include full rewrite of script and re-do of voiceover. You will receive your voiceover with a watermark, upon receipt of paypal payment you will then receive original voiceover with watermark removed for your use. Terms & Conditions: Cart must total at least $10 for code to be applied. Deal: Like and share our Facebook page and receive a 20% discount on your first home or office cleaning. 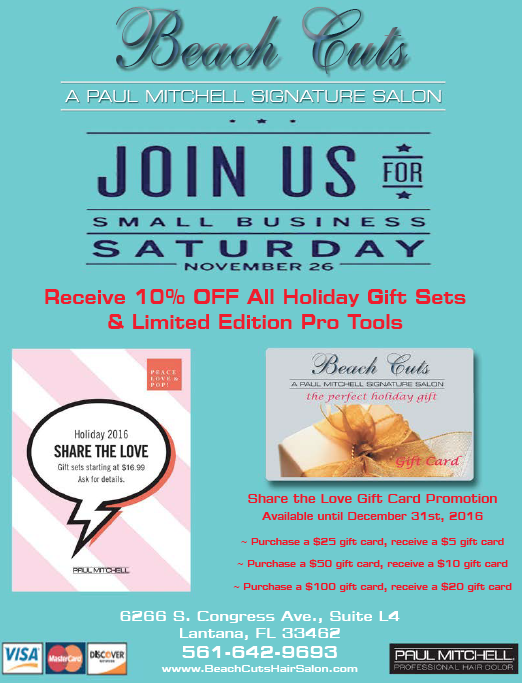 Instructions to Claim: Call and mention small business Saturday deal and that you liked and shared our page. Deal: "Family Christmas/Holiday Portrait Session $99. Includes (1) 8 x 10 (2) 5 x 7 & Sitting Fee *Plus you get our new custom APP of your image sent to your phone to share with family & friends"
Terms & Conditions: This is a special for one pose portrait session, good for 6 months for date of issue! Deal: The hottest holiday gift of the season. Get an emoji bracelet in any size with 10 charms to change, swap, or trade. Express your emotions! When you can't find the right words to express yourself, put your emotions on your bracelet. Instructions to Claim: Just enter SAVE50 at checkout online at www.EmojiBracelet.com for 50% off the manufacturer's suggested retail price. Terms & Conditions: Visit the website at www.EmojiBracelet.com or call for more information. 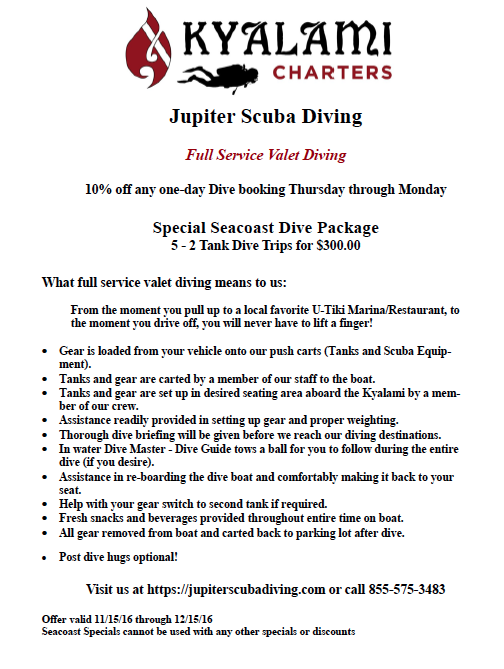 Instructions to Claim: Go to our website at https://jupiterscubadiving.com/ Select book a Dive, Select Dive Options, choose your date to Dive, Add to Cart, use Seacoast In the code box, open an Account and proceed to checkout. Terms & Conditions: Seacoast Specials cannot be used with any other specials or discounts. Deal: Sterling silver. 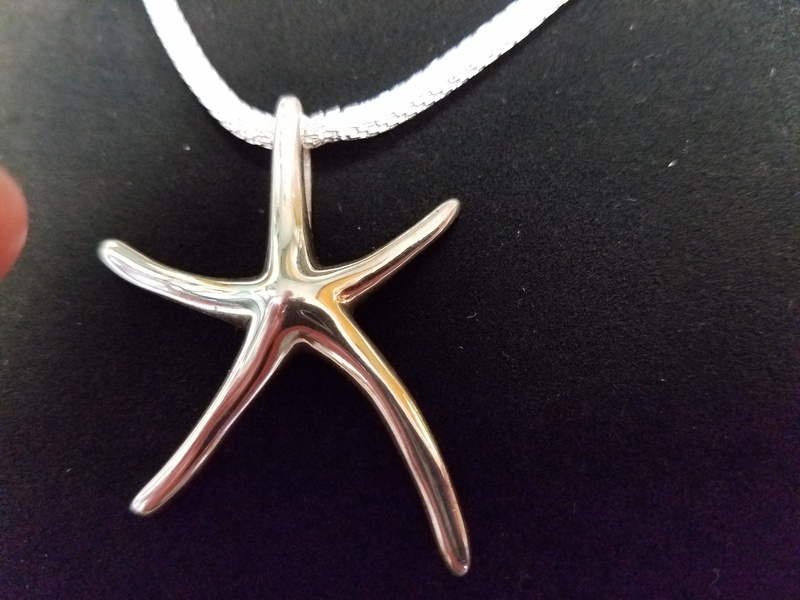 starfish pendant -2inches high with silver chain. Reg.50.00---20%off..Now $40.00 including shipping nationwide. Instructions to Claim: Online sales only. Terms & Conditions: Order online all major credit cards accepted. Deal: 30 day trial of any product. 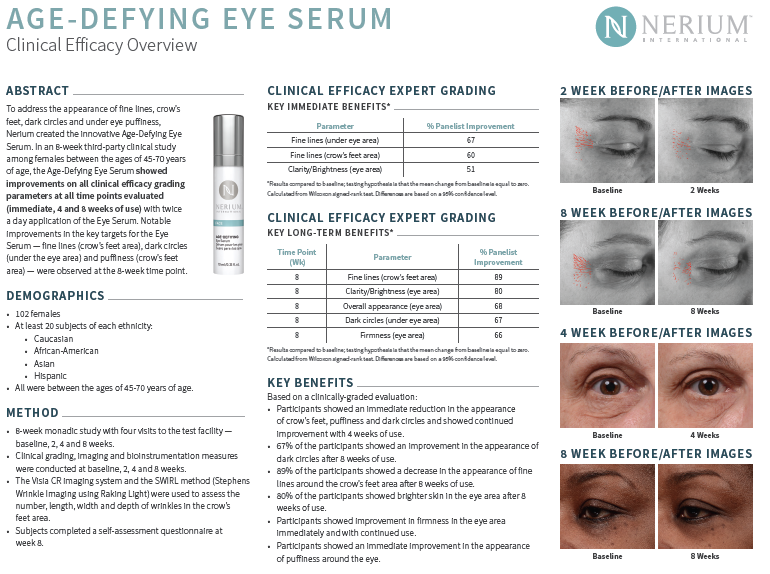 Instructions to Claim: go to our website: dnolson.nerium.com click on purchase products. All products have a 30 day money back guarantee. You can try for 29 days and return empty bottle on day 30 and money refunded. Terms & Conditions: return empty bottle for money back if you are not satisfied. Deal: Free consultation and insurance verification for all who are seeking professional help with Opiate or Heroin abuse. Instructions to Claim: Contact us on Facebook or give us a call! 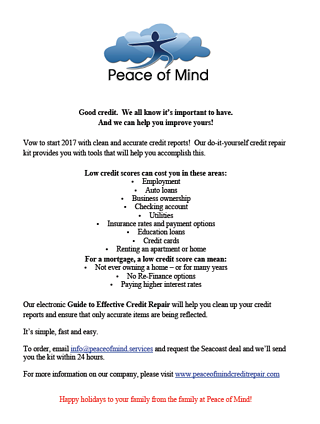 Deal: We will provide a Do-it-Yourself credit repair kit for $5. This will give you necessary tools to help eliminate bad credit from your credit reports. Instructions to Claim: Email info@peaceofmind.services and state that you would like to claim the Seacoast deal. Terms & Conditions: If the order is placed and paid for prior to January 1, 2017, we will send an electronic credit repair kit to the email provided to us. 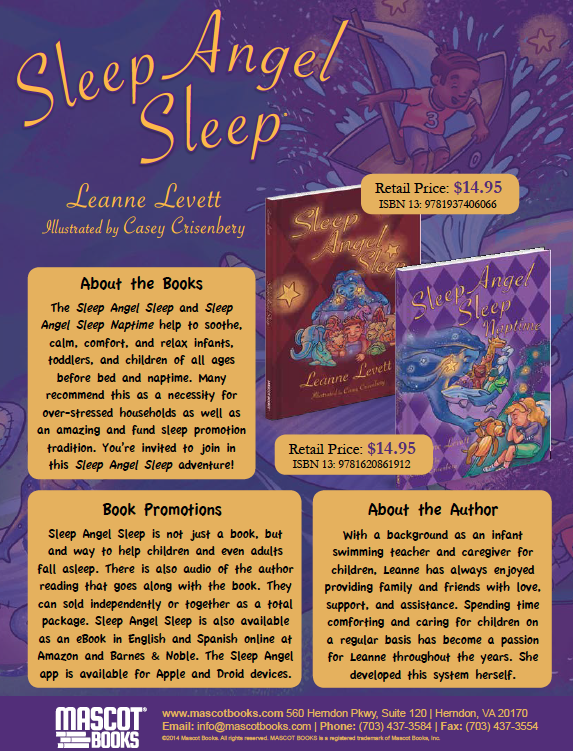 Deal: Enjoy $5 off your purchase of any Sleep Angel Sleep or Sleep Angel Sleep Naptime product! Terms & Conditions: Net 30, returnable. Terms & Conditions: Cannot be combined with any other offer. Deal: free to join the Great Networking Exchange of Barter, and receive 100 Trade credits immediately at no charge! Instructions to Claim: Call Liz Bowler and learn more about getting New Business, and shopping for Employee gifts using trade not cash! Deal: Receive $500.00 off your purchase. Instructions to Claim: Please enter coupon code: Thanksgiving2016. Terms & Conditions: Discount is for items $2995.00 or more. 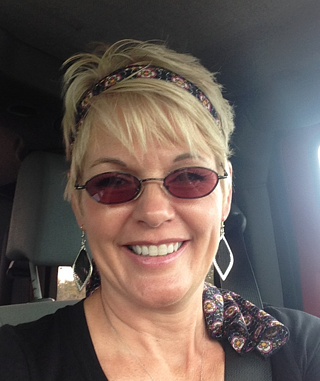 Deal: Handcrafted wearable art by Debbie Stillman, Jewelry Artisan & Designer. Receive 10% off any item(s) plus FREE Shipping within the U.S. No minimum purchase required. Instructions to Claim: Enter Coupon Code "HappyHolidays2016" and Coupon Code "FreeShipping"
Terms & Conditions: No minimum purchase required. Free Shipping does not apply to addresses outside of the United States. Deal: Receive my 15% Off Special Discount Coupon Only for Seacoast customers! Terms & Conditions: Only for Seacoast Customers! Offer valid only from Mindy Russitano. Limit 1 coupon per customer! Younique Presenters not eligible. While supplies last. Deal: In-home, non-medical home health agency offering assistance to individuals needing help in the home - we offer a free in-home consultation to the possible client and their family. 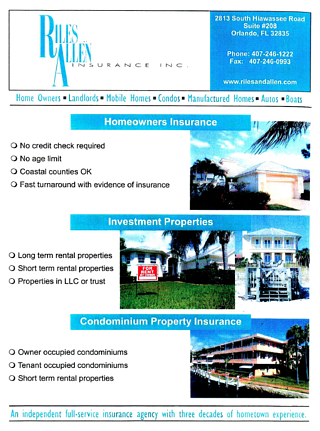 Instructions to Claim: Call the offices at 321-268-3310 or 321-733-2787 to discuss the needs and set-up an appointment. Terms & Conditions: Conditions - for individuals needing assistance in the home, Comfort Keepers covers individuals from 18 and over. Instructions to Claim: Present this ad to the cashier. Terms & Conditions: No refunds. Deal: Get a 3 x Swedish relaxation massage package for the rate of $165. That is $55 per massage. Free aromatherapy included with this offer. Relieve anxiety, stress and muscular tension. Instructions to Claim: Call 321-749-9642 to purchase or book online at www.InvertedElephant.com. Dates Valid: Must be purchased on or before December 15, 2016. Valid for 12 months from date of purchase. Terms & Conditions: Must be purchased on or before December 15, 2016. Special offer can be split/used by more than one person in the same family. 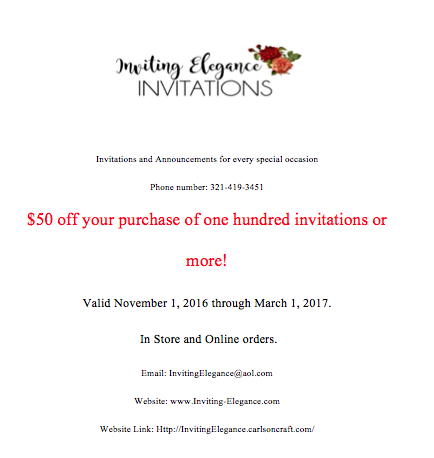 Deal: Fifty dollars off your purchase of one hundred invitations or more! Instructions to Claim: To claim this promotional deal please mention this add when placing your order. Terms & Conditions: Limit one fifty dollar offer per order, per customer. Minimum order of one hundred invitations. 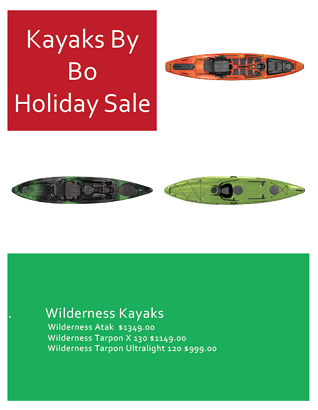 Deal: Kayaks at heavily discounted prices. Instructions to Claim: In store - Call to determine inventory. 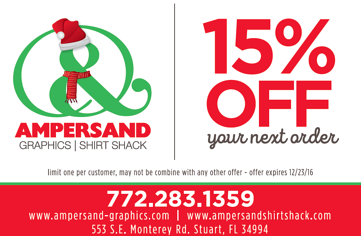 Deal: 15% off one order. Instructions to Claim: Please print discount and present in store and place order before December 23, 2016. Terms & Conditions: Limit one per customer. May not be combined with any other offer. In store only. Deal: Holiday Promotion. Gift the ones you love and appreciate a 3 month membership for $150! 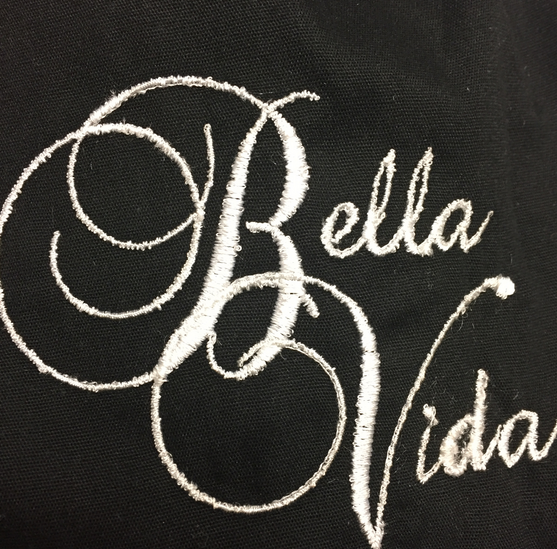 That's a $60 savings and includes one signature service (facial, massage, Manicure/Pedicure) per month along with savings on any additional services and retail. Deal: Buy any monthly package on the website and receive credit for a 1/2 price package of equal or lesser value. Confirmation e-mail will contain certificate for 1/2 off next purchase of equal or lesser value. Terms & Conditions: 1/2 off package must be of equal or lesser value.Limit of 3. Certificate good for 90 days. Terms & Conditions: Walk in clinic requires no questions to the Veterinarian. 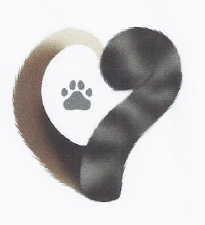 Complete paperwork, pay fees, pet receives vaccinations / tests requested by owner. Deal: A Customized Financial Plan. A financial plan is a comprehensive evaluation of an investor's current and future financial state by using currently known variables to predict future cash flows, asset values and withdrawal plans. Terms & Conditions: For this special you will receive the plan regardless of becoming a client. Deal: 15% off purchase of $50 or more. Instructions to Claim: Must spend $50 or more to receive 15% off entire purchase. Terms & Conditions: Excludes sale items and Costa sunglasses. 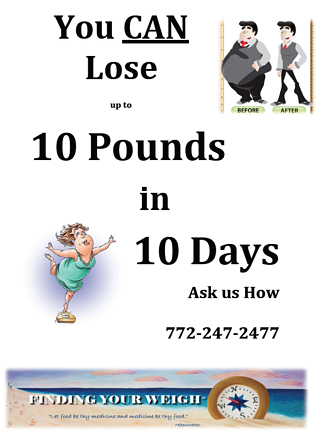 Deal: Lose up to 10 pounds in 10 days (if you qualify). Physician supervised weight loss program. Instructions to Claim: Call 772-247-2477 for FREE 30 Minute consultation to see if you qualify for the program. Terms & Conditions: Payment will be discussed at consultation. Deal: Sit back and relax for the Holiday season and let me clean your home or business with the first hour being FREE!! Instructions to Claim: Call or message me! Book me! Enjoy the deal! Terms & Conditions: Just enjoy being worry free and clean! Deal: 1 hour essential facial and 1 hour Swedish massage for $99. Deal: Starting on Black Fri 11/25/16 and continuing until 12/24/16 we will offer a 50% Discount off all Blue Tag and Green Tag Clothing Items. We will also give a FREE Plush Stuffed Animal to every child who comes into the store while supplies last. Instructions to Claim: Just come in and purchase the Blue or Green Tagged items. Terms & Conditions: While supplies last. Deal: $10 off registration fee for gymnastics classes. Instructions to Claim: Mention Seacoast Bank and bring in or show flyer on your device. Terms & Conditions: Good for each individual registration. Cannot be combined with other registration fee discounts. 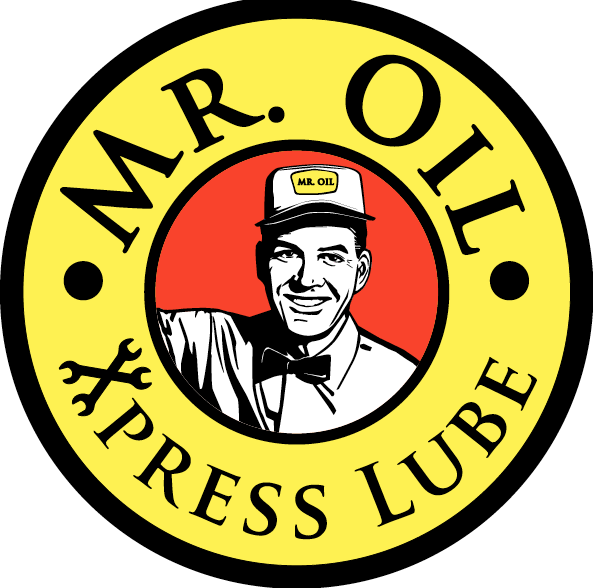 Deal: Conventional oil change up to 5 qts for $21.95 plus sales tax. Includes premium motor oil & Purolator oil filter. No disposal fees. Terms & Conditions: Code must be presented at the time of oil change. Customer pays all taxes. Terms & Conditions: Service coupon is for new customers only. 10% off all Essential Oil purchases. Terms & Conditions: 1 per customer. Deal: Complimentary Nutrition Discovery call up to 20 minutes. During this call we will discuss your health challenges to determine what type of nutrition plan might be needed to help change lives with food. If office appointment made a 10% discount will be given for Nutrition Assessment (1 hr) in session. Instructions to Claim: Call 1-772-971-9006 and give code SEACOAST. Terms & Conditions: Limit one per person; Must book appointment within 3 months of discovery call to receive 10% discount. Deal: 15% OFF NEW MERCHANDISE STORE WIDE! 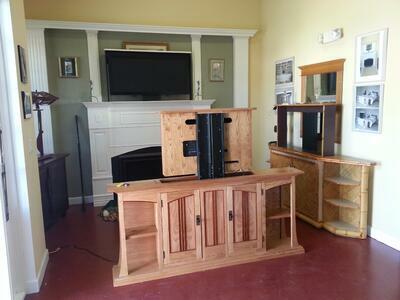 12 Month Interest free financing store wide when using our Synchrony credit card. NOW SELLING CERTIFIED PRE-OWNED ROLEX WATCHES! Terms & Conditions: Can not be used in conjunction with any other offers or discounts. Applies to retail purchase price only. 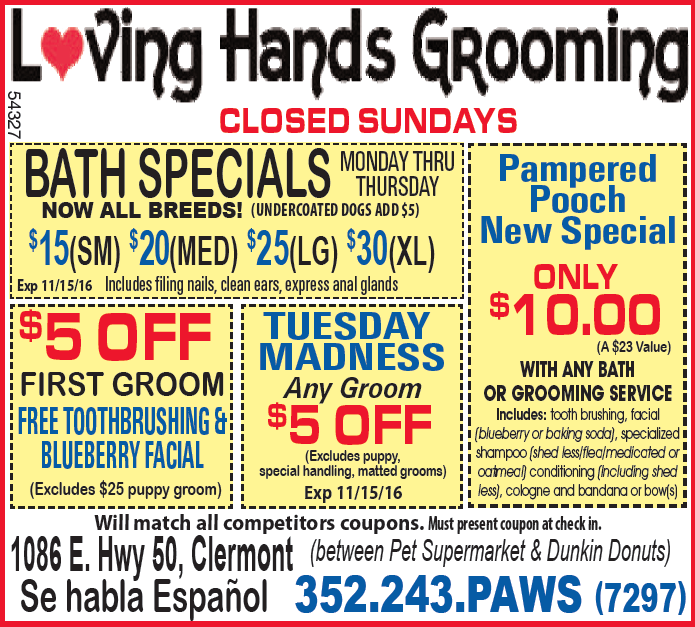 Instructions to Claim: Print attached flyer for coupons, expired dates honored print this page. Instructions to Claim: Mention Shop Small for discount. Terms & Conditions: Not valid with other coupons and promotions. Deal: 10% off boat lift maintenance and service. Also on new remote control. Dates Valid: November 1st Through December 31st. Deal: One month free mowing. Instructions to Claim: Call or email. Terms & Conditions: One month free with the prepayment of second month. Deal: Flashy Mama Photography is offering gift cards for family mini and regular sessions. Unique and creative gifts for family, friends, employees, clients or colleagues! Especially for those who are hard to shop for. Mini Sessions are discounted at $100 for 20 minutes and 7 images. Full Sessions are $250 for an hour and 30 images. Instructions to Claim: Fill out the contact form at www.FlashyMama.com. Terms & Conditions: Sessions are scheduled at mutually agreed upon locations and according to availability. Gift cards expire 12/24/17. Instructions to Claim: go to gallery to make purchase. Instructions to Claim: Call and say "Art is Life by Ana"
Instructions to Claim: One Coupon Per Person Per Visit. Present Coupon at Time of Checkout. 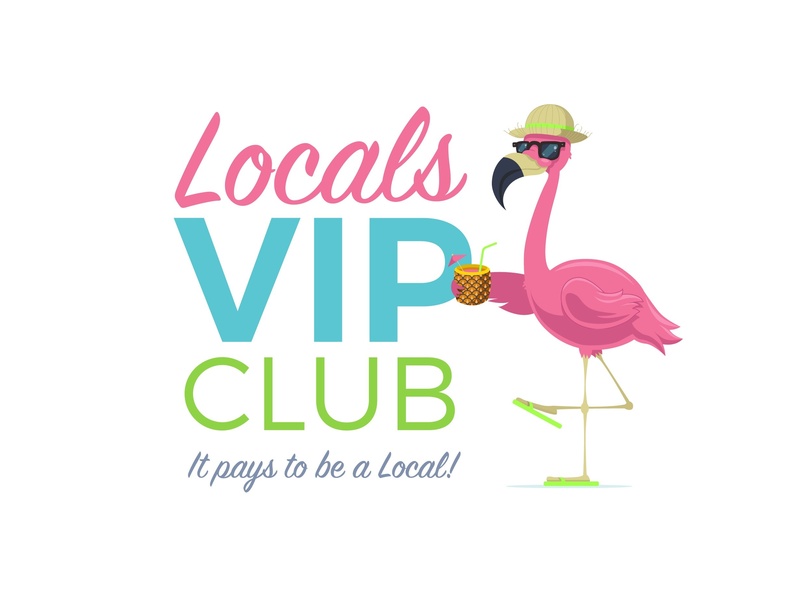 Deal: $20 for a one year membership plus 3 additional months to receive local Deals, Coupons & Discounts offered by restaurants, bakeries, jewelry stores, automotive services, pest control services, carpet cleaning, real estate services and so much more through our exclusive online Locals VIP Club. No coupons clip or forget, No books to lug around.... everything is on your Smartphone and will be with you at all times! Instructions to Claim: Go to the "Sign Up" link at the bottom of the home page. Must be a Local Florida Resident to join. Instructions to Claim: Sign up on the website and visit the office to claim the deal. Deal: Enjoy 10% off a refreshing foot massage & reflexology treatment with hot water foot soak and hot stone therapy - or choose 10% off any one of our many other massage sevices. 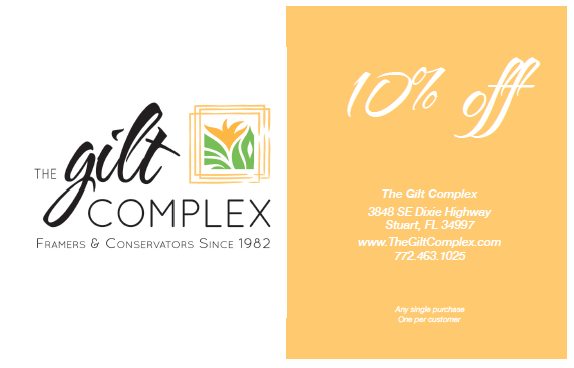 NOTE: 10% off applies to gift certificates also - Appointment is required. 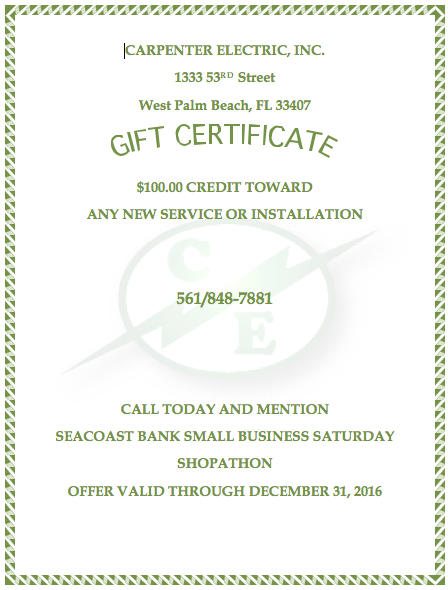 Instructions to Claim: Simply mention that you are friends of Seacoast Bank and your discount will be applied! Its just that easy! Terms & Conditions: 1 discount per person for one time only - But you are welcome to bring a friend! 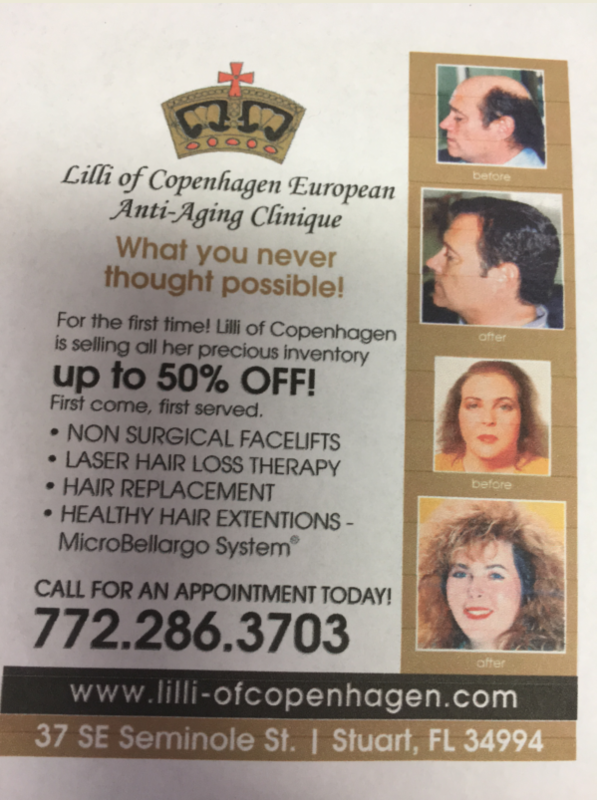 You may use the $5 discount towards any 1 hour service - Appointment required at least 90 minutes prior. Deal: NRA Certified Pistol Instructor Safety Class. By appointment only. 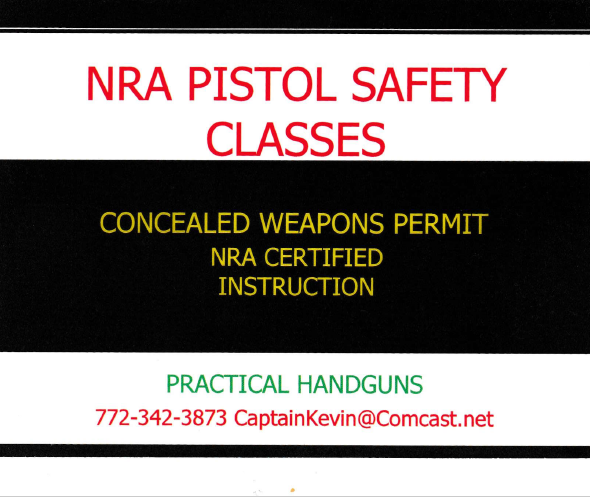 Visit NRA website to register or call Kevin 772-342-3873. Qualifies for CCW. We are also a full service FFL Buy Sell Trade Guns New and Used. Instructions to Claim: Visit NRA Website to register or call Kevin 772-342-3873. 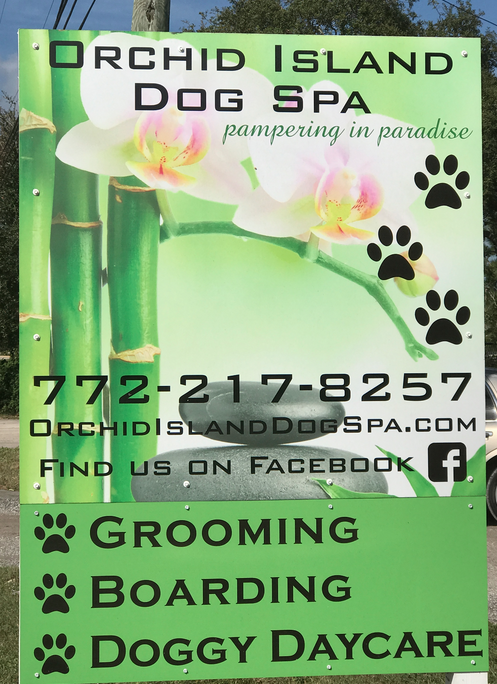 Terms & Conditions: Call for appointment 772-342-3873. 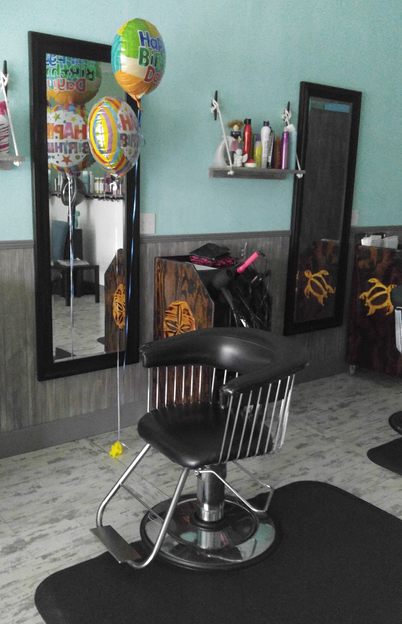 Deal: Free hair cut with color. Instructions to Claim: Call for an appointment! Terms & Conditions: Must purchase a new color or retouch. Styling is included. 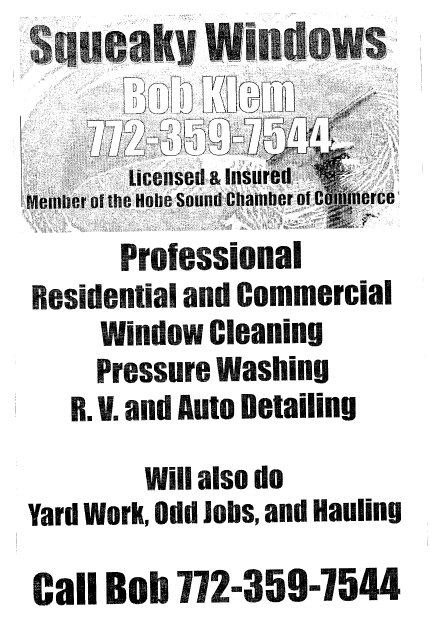 Deal: $25 off any service pressure washing, window cleaning, odd jobs. 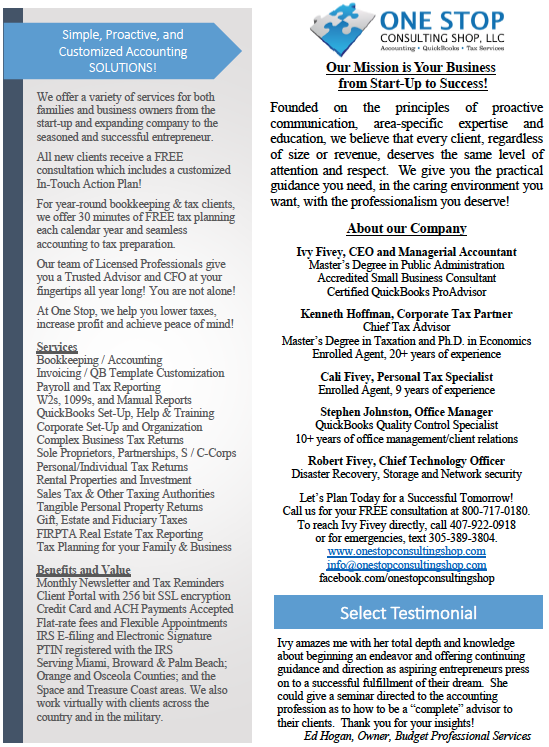 Instructions to Claim: Mention seacoast small business deal ! Terms & Conditions: Purchase in store. Deal: 3 cent black and white copies. Instructions to Claim: Come in and make copies. Instructions to Claim: Come by and select the Haitian metal art and hand-carved wood sculpture that makes you happy, bring it to the register and mention the Seacoast Small Business promotion. Terms & Conditions: Enjoy doing business with local store owners! 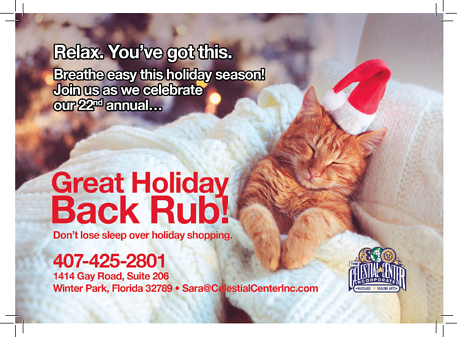 Deal: Make this holiday easy peazy by giving personalized massage gift certificates to your loved ones, friends, staff and clients. Buy 4 or more 30-,60-, or 90-minute sessions and receive 10% off each session price. 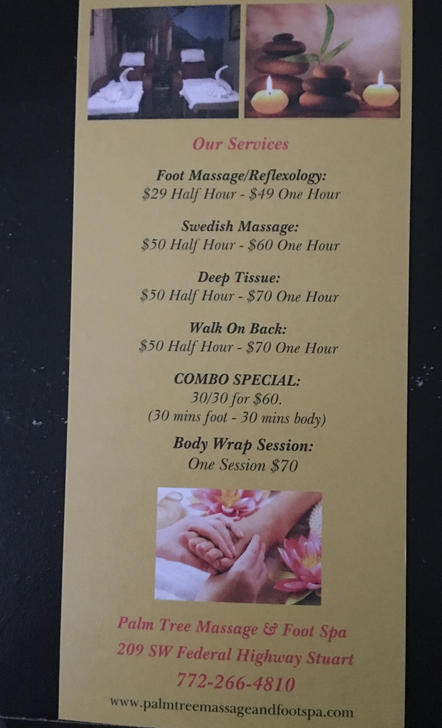 Purchase 12 sessions and receive an added bonus of an additional gift certificate for a 30 minute reflexology session to pass on or to use yourself. With each gift certificate or gift certificate package purchased you will receive a 'Cool' Star gel pack. Gift certificates for massage are always a perfect fit for everyone on your holiday list. Remember, the gifting begins with you. So call today to schedule a lovely therapeutic massage for yourself. Instructions to Claim: Call, text or email me to arrange payment and to have your massage gift certificates personalized for you. 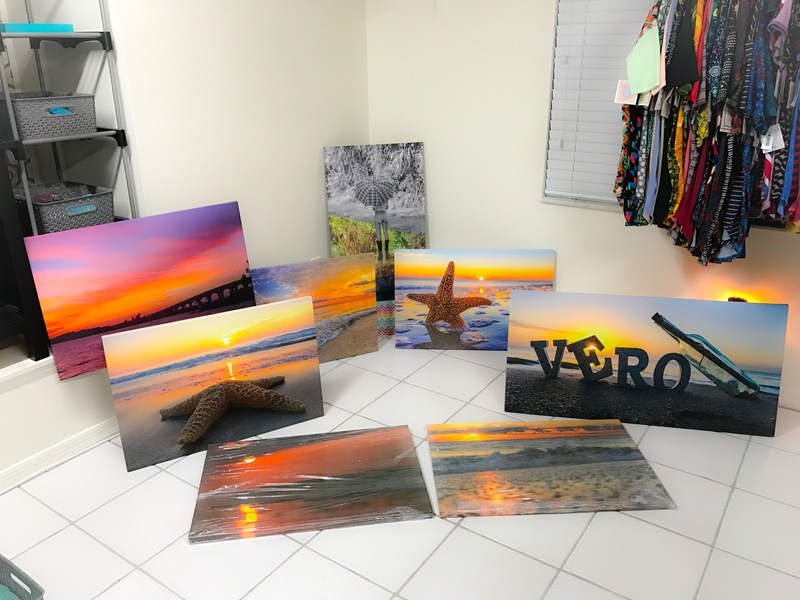 They will be ready for pick up at my Winter Park office or have mailed at no additional cost to you. For you last minute shoppers, please go to my website and follow the given instructions to print and pay for a generic massage therapy gift certificate. Terms & Conditions: Gift Certificates are redeemable for in office only. Additional fees required for outcalls. Don't delay, supplies of 'Cool' Star gel pacs are limited. Kon Studio of Photography, Inc.
Deal: Have Kon Studio create your family portrait before December 31st 2016 and receive a free 8x10 enlargement of your family with your order of $250 or more. A $55 value. Great for Grandma. Instructions to Claim: Tell us you saw this ad when you schedule your session. Terms & Conditions: 1 hour at location must be over 18. Deal: Purchase your tax return preparation service before January 1st, and receive 15% OFF the entire fee plus a FREE 30 minute tax planning session. Terms & Conditions: Copy of prior year tax return and details for current year taxes required for quote. 15% discount to be taken off quoted fee. 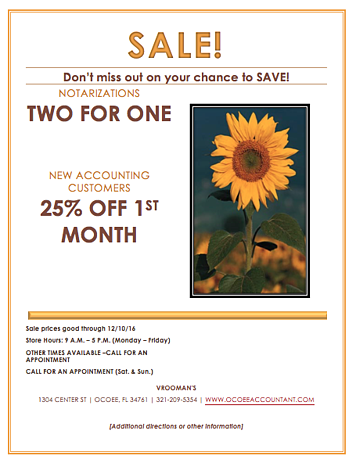 Deal: "Two notarization's for the price of one $10.00, and 25% off 1st month for new accounting customers "
Terms & Conditions: For accounting must be a new customer. Terms & Conditions: Sale is for Holiday Gift Sets Only! Deal: BOGO Guided Tour - minimum 2 persons for tour. Applies to all tours available. Instructions to Claim: Must RSVP for deal. Can do this by calling the shop or stopping by to plan the paddle boarding adventure. Terms & Conditions: Minimum 2 persons for the guided tour in order to get BOGO applied. May have maximum 4 persons included in deal. Instructions to Claim: Come on down to our local family business and claim your new used car from us!!!! Terms & Conditions: You must pay state tax and the DMV fee to transfer or new tag to your vehicle and registration. We do all the work for you!!! Deal: Clean up crews to suit various size aquariums $20 for small cleanup and $32 for large cleanup. Store Hours~Tues-Fri 11-6/Sat 11-5/Sun 11-4. We Offer Expert Information, Quality Sea Life at Affordable Prices..Come in & "SEA" what's NEW!!! Instructions to Claim: Call or text and mention add. 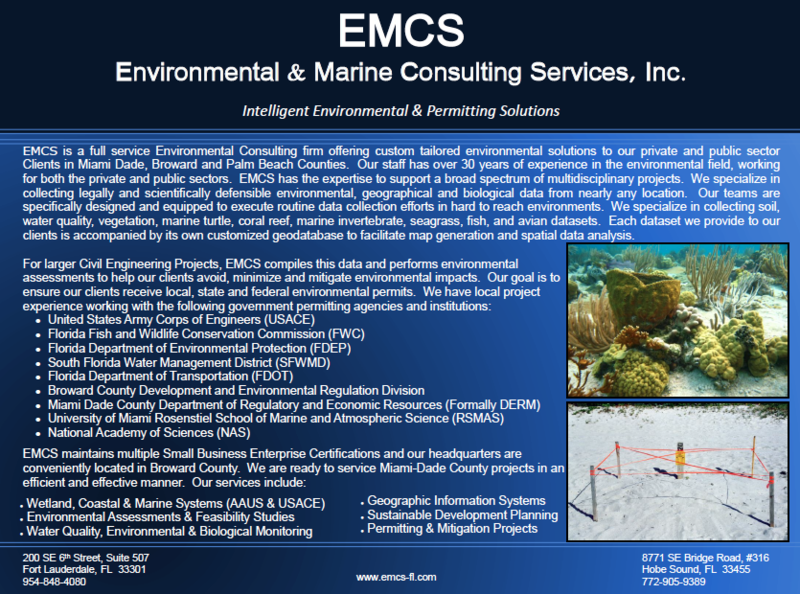 Environmental & Marine Consulting Services, Inc.
Deal: $150.00 off environmental permitting services, mangrove trimming, dock installations, and wetland delineations. 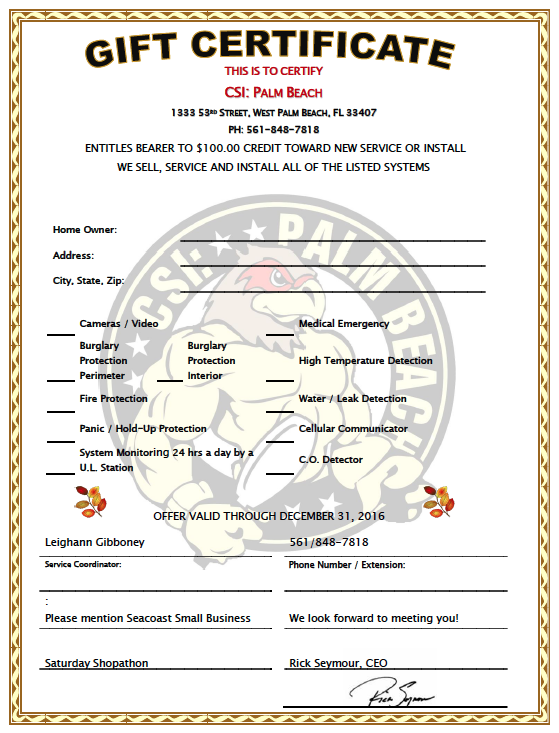 Instructions to Claim: Dial 561-628-3739 for a free estimate! Deal: 10% off your first service. Terms & Conditions: Depends on material being used. 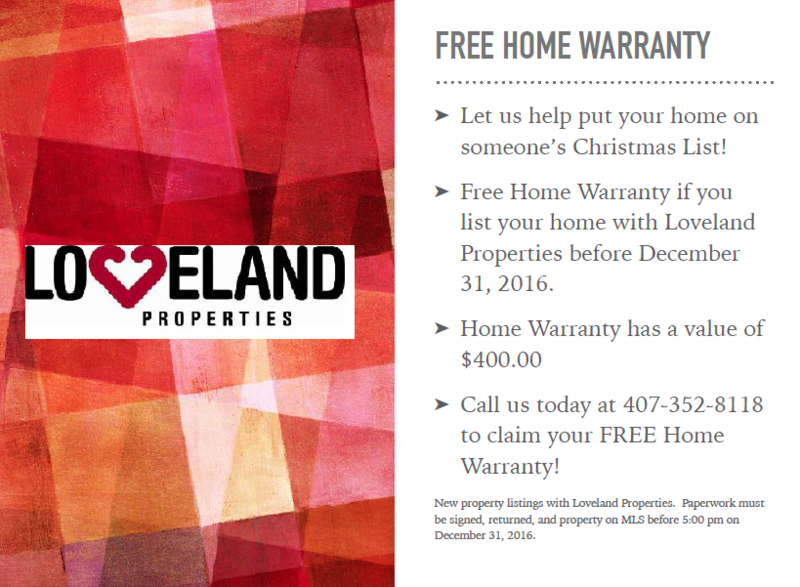 Instructions to Claim: Claim this deal by calling 772-340-0062 with your full name, address, phone number, email and some form of payment. Deal: Buy $50 gift card receive $10 for you. Buy $100 in gift cards receive $25 for you. Instructions to Claim: Buy $50 gift card receive $10 for you. Buy $100 in gift cards receive $25 for you. Terms & Conditions: Buy $50 gift card receive $10 for you. Buy $100 in gift cards receive $25 for you. Deal: Free Registration for New Clients. $60 Value. Instructions to Claim: Mention the ad. Terms & Conditions: New Clients only. Registration only. 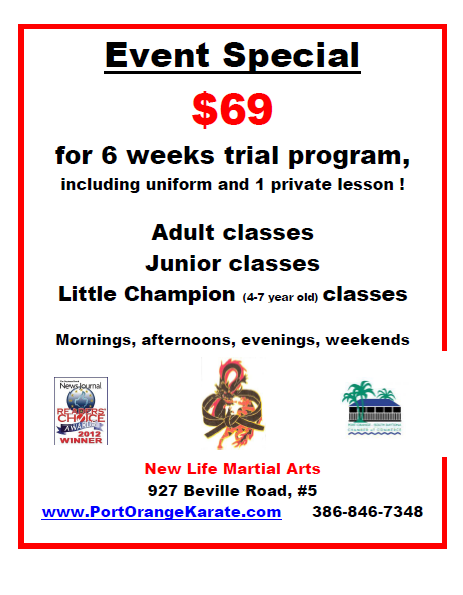 Deal: 6 weeks of unlimited Martial Arts Lessons + 1 private lesson, including evaluation, goals assessment, and action plan to ensure you reach those goals + free uniform - all for just $69. Open to all ages, 4 years old to seniors. Instructions to Claim: Call, email, or text with recipient's name and age (and parent/guardian's name if a child). Please call by 12/1 so we can order the correct size uniform, if you wish to pick it up before Christmas. Dates Valid: Please call by 12/23 to schedule first lesson (may schedule for after Christmas if this is a gift). Terms & Conditions: New students only, one 6-wk session per person. No limit on number you may purchase as gifts. Deal: "#1. Purchase a $50 Gift Certificate and receive a separate Gift Certificate for a Manicure to keep for yourself or give away. #2 LS Salon "Lavish & Local" beauty package for $100 - Includes: A Detox pedicure, a Reconstruction manicure, Invigorating scalp massage shampoo, haircut and style. Brow shaping, Lip sugar rejuvenation with Lunch included and served during time of service. " Instructions to Claim: Deals maybe claimed in store on line through Facebook, website, or the "Flok" app. Deal: FREE Stocking Stuffer with purchase! Instructions to Claim: Visit us in-store or online to claim your FREE stocking stuffers! Dates Valid: Now through Christmas! Terms & Conditions: Limit one per customer per visit. See store for details. Small Business Owners Can Still Join By Submitting Their #SmallBizSaturday Deals Online. Check back for more Small Business Saturday Deals that will be continually added throughout the shopathon! If you're still looking for more ways to save this holiday season contact our team of experts to help with your financial questions.